The answer to the question, do you need a cold air return vent in each room is no. However it is important that the flow of air in your home is efficient. Basically hot air comes into each room through the hot air registers, usually located under a window. The hot air heats the room and rises to the ceiling pushing cold air towards the floor. This is where your cold air return vents should be located. Cold air is drawn into the vent. Rooms with no cold air return vent and closed doors will have less air circulation. Hot air coming into the room has no where to go. It creates a positive pressure. Hot air is forced into other rooms with lower pressure. If you do not have a cold air return vent in each room, keep doors open to circulate air. Our master bedroom does not have a cold air return vent. The room is cold in winter and hot in summer. If we keep our bedroom door closed the variance in temperatures is even greater. We keep the door open all of the time. We looked into installing a cold air return vent in the room which turned out to be impractical. There was another solution which turned out to be one of the best decisions we could have made. A ceiling fan was the answer. We installed the fan and keep it on at low speed all of the time. The air circulates in the room. The fan pushes hot air from the ceiling towards the floor. Even with the door closed the temperatures are more consistent throughout the room. The cold air return vent is located just outside the door in the hallway. With the door open and the fan running, air is pushed out of the room towards the door. We have found that it is not perfect. However the temperatures in our bedroom are more consistent and warmer in the winter. During the summer we have also found significant improvement. Circulate hot air with the fan. This leads to a much more comfortable overall air temperature in our bedroom. The question many people were asking recently is whether you needed to have a cold air return in basement. Before we answer this question it is important to understand why you need cold air returns in the first place and whether the basement is finished or not. A cold air return is only used with forced air systems where there is a furnace located within the home. Hot air is forced throughout a duct system by a fan located on the furnace through ducts to every part of the home. The furnace draws air from the cold air return ducts which channel air through ducts that also connect to every room in the house. This arrangement allows for a continuous feed of air throughout the home. If your basement is unfinished, there is really no need to be concerned about a cold air return vent. There is usually enough leakage that some air is still drawn from the basement into the system and replaced by heated air from a hot air duct. In fact many people prefer this approach. Since the basement is unfinished and they really do not want to heat it anyway. It is however important to make sure that the temperature is above freezing levels. Staying above freexing avoids water pipes located in the basement freezing and causing water leaks. Once a basement is finished, there is a need to make sure that it is warm enough to be enjoyed and that means air must be allowed to flow in as well as out of the room. Air flows in through the hot air duct and out through the cold air duct. The cold air duct should be located at floor level where the cold air settles. It should be open to allow air to enter and return to the furnace to be heated. In some cases if there is poor air circulation, consumers will install an auxiliary heater. An electric heater or fireplace to heat the basement rooms. Basements are difficult to keep warm since hot air rises and cold air falls. This phenomenon can make basement rooms very cold. A small gas fireplace with a fan will heat up a basement room in no time at all. There is no need to worry about chimneys now with the new high efficiency fireplaces. All you need is a properly installed vent out the side of the house and you are ready to go! Our last post was all about adjusting cold air return vents in the fall and the importance of having enough of them to ensure excellent air circulation within your home. This post is really just a reminder to adjust your vents for the coming heating season. Most people have air conditioning and in modern homes there will be a hot air return vent located near the ceiling just above the cold air return vent which will always be at floor level. You will also only find these hot air return vents on the second floor of two story homes since hot air always rises and at the ceiling level in one story homes. In the spring you may have closed the bottom cold air return vents which forces the air return to the furnace to be drawn from the ceiling were the air is hottest. This improves the cooling effectiveness of your system and provides a more comfortable environment in your home. Cold air as you may know falls to the lowest levels while hot air rises. By closing the bottom vent you are forcing the hot air to be drawn into the return system to be cooled by the air conditioner. Opening the cold air vent in the fall allows the cold air to be drawn to the furnace and heated. Our cold air return vents actually have a lever that allows us to open or close the vent depending on the time of the year. It is a small lever that you can push up or down depending on what you want to do. 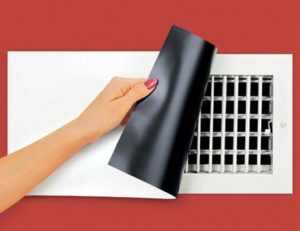 Some homes may not come with these kinds of vents so home owners may need to place a magnetic cover over the vent to prevent air from entering. Make sure that you are covering the cold air vent at the floor level and not the one at the ceiling. You would only do this in the spring when you are about to turn on the air conditioning. 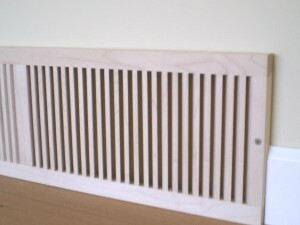 If you do not have a hot air return vent at the ceiling level, then do not cover your cold air return vent. The furnace will not receive sufficient air to circulate. Once winter arrives, you want to have the cold air at floor level drawn into the air return system. It is time to open these vents if they are closed. Allow the cold air to return to the furnace to be heated. 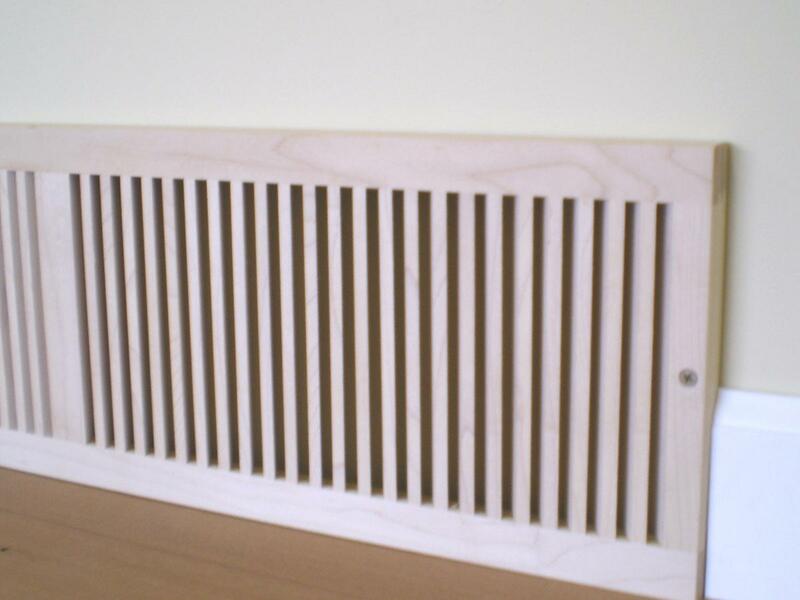 Since cold air is so heavy, it will automatically flow to the lowest level into cold air return vents. There are a couple of reasons. The most straightforward reason is that you want the air to flow in an optimum way. It should either cool or heat your home as fast as possible so that you are comfortable. Another reason, is the cost of energy as it increases. Consumers want to save as much money as possible by reducing their energy foot print. Using your homes air circulation system efficiently, you can actually save money. They can reduce their annual costs to heat and cool their home. In the winter time also utilize the suns rays to heat your home in the day time. Close the blinds in the evening to provide that extra layer of insulation around your windows. The reverse would be done in the summer time. Consumers should prevent the suns rays from coming into the home and overheating the house. This is a simple thing to do and it only takes a few minutes twice a year to do. The motivation of our site is to help home owners save money. It leaves more money in your pocket for other needs. If you have thoughts about this, please leave us a constructive comment. Our readers will appreciate it.